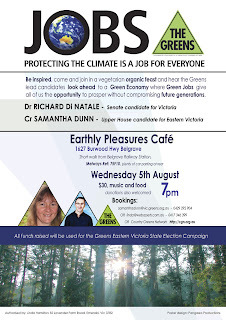 Join with me and Dr Richard Di Natale (Green's Senate candidate) to hear about how we can secure a prosperous future for the country and tackle climate change at the same time. 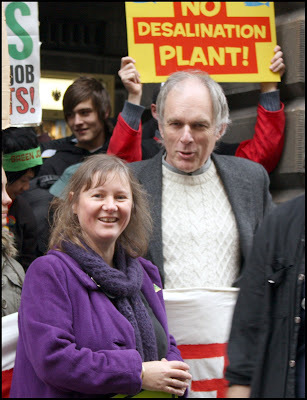 Hear Richard talk about the Green economy, whilst my focus will be on Green jobs. It will be a great night at Earthly Pleasures Cafe in Belgrave, $30 per head will get you a fabulous organic feast, music as well as Richard and I.
what do you think of your waterway? * Victoria's Department of Sustainability and Environment. I just completed the survey, it's well worth doing although I found it frustrating that my comments were limited to a couple of waterways only. 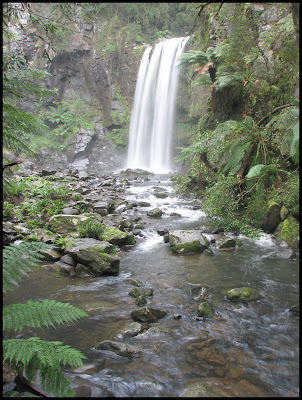 In an area like the Dandenong Ranges which is abundant with many waterways it was difficult to know which ones to focus on. According to QUT and VU the information provided in this survey will help Victorian government agencies to understand your views and take them into account when seeking to improve the health of Victoria’s waterways. This is your opportunity to tell the government what you think about your local waterways, lets hope that they take your views into account. Visit: www.surveymonkey.com/myvicwaterway to complete your survey. I was invited to chair the Triennial General Meeting of the Kallista Mechanics Hall Committee of Management, which was held last Thursday. The committee have done a fine job managing the hall and have done much to increase the number of bookings for the hall. 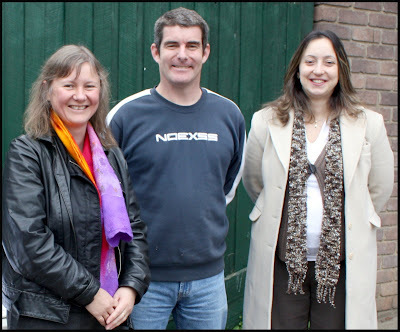 I also had the job of presiding over the elections and was pleased to announce John Lloyd as the President and Venetia Barnard as the Secretary/Bookings Officer for the next three years. There was much talk about many things, the committee is starting to focus on the centennial of the hall coming up in 2014, an exciting time, which will be a great celebration of a much loved community hall. 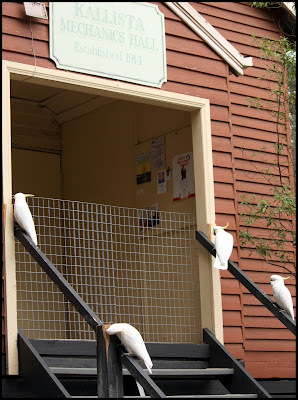 Hot topic of the night was the cockatoos and their unrelenting attacks on the hall. Since I last visited the hall the cockatoos have managed to chew completely through to the top finial (see blog 21 June 09), in a matter of only days it has gone completely. As reported in an earlier blog entry I am seeking a meeting of agencies and MPs so something can be done to address this issue. To date the Shire is waiting to hear back on availability. In my most recent visit to Kallista on Saturday (27 June) I noted that the committee have since covered their railings with metal capping in an attempt to stop the damage. 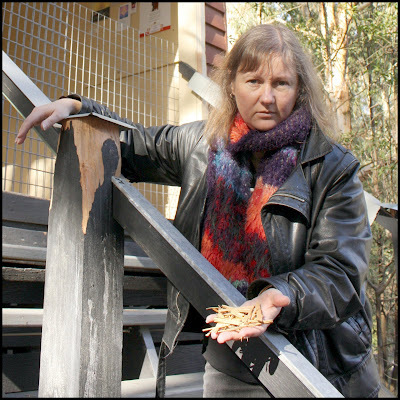 The scattered chips of wood over the stairs showed how much damage the cockatoos had done to the banisters. These cockatoos have no fear and weren’t concerned about me being close to them at all. 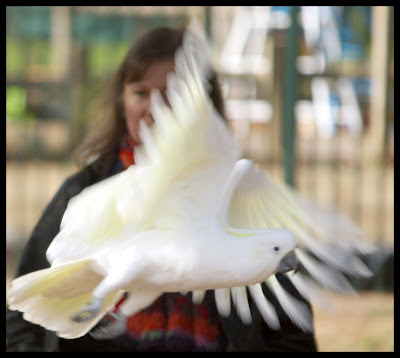 The cockatoos have become so used to people they could be considered semi-tame. This is a upright at Kallista Village Green, the cockatoos have done an extreme amount of damage to the infrastructure in this area. The Kallista Mechanics Hall, now without its finial, the cost of replacement places an unfair burden on the Committee of Management and their very tight budget. Only days ago this finial was intact. 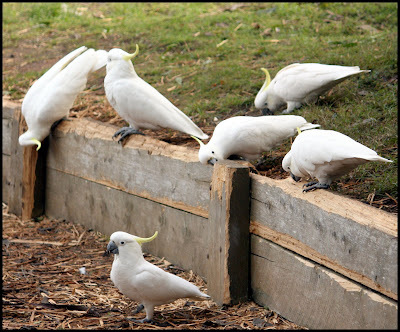 The same day I decided to visit Grant’s Picnic Ground to see what the cockatoos were up to there, this group were chewing away on a retaining wall well away from the feeding area. How much longer can our community be expected to pay for this damage? Did you know you can access free public internet access at the Yarra Ranges Community Link in Upwey? This is the internet station at the Shire's Community Link in Upwey. It provides a great working space for those who need internet access. Earlier this year the Shire was granted funding to allow for free access to the internet for two years. There is also access to other software programs such as Word. 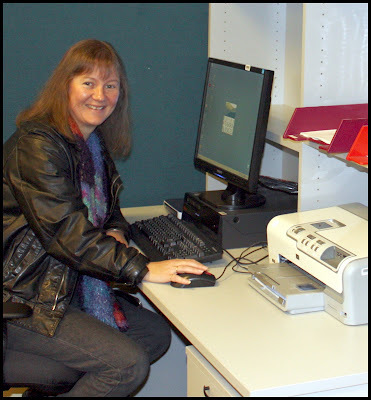 If you’d like to use the service phone the community link on 9752 6054 to book a time slot or pop in to find out more. The Yarra Ranges Upwey Community Link is located at 40 Main Street, Upwey. At the council meeting this week, Mr Frank Smith, President of MEEPPA, submitted to council about the installation of a Telstra Mobile tower at Pembroke Secondary College. No one in the community has been consulted about the installation, with Telstra believing that the installation is low impact and exempt from permit permission as it is a replacement of a tower and/or co-location of services. However that is not strictly correct even though Telstra are still complying within the Code of Practice. The current tower on the school is not a mobile tower, it is an intranet connection with the senior campus of Pembroke. Telstra are planning to "swap out the mast" with a higher tower which will see the existing 27mt lattice mast replaced by a 32mt mast with 1.6mt panel antennas affixed to it. To say this is replacement or co-location is really pushing the envelope. As mentioned earlier the existing mast is located at Pembroke Secondary College, next door is the Mt Evelyn Special School and Fernhill Kindergarten, what are considered to be sensitive locations under the Code of Practice. Cr Heenan moved a motion to strongly recommend to Telstra they the conduct further and extensive consultation. I was happy to second the motion. I think this is scandalous. Telstra is using a loophole exemption to get away with installing a mobile tower in a sensitive location with no community consultation at all. An intranet tower is not a mobile tower, this is not a replacement nor a co-location. Telstra has shown a complete disdain for our community and we must communicate to Telstra in the strongest possible terms that they consult with the community. The motion was supported unanimously. At this week's council meeting Cr Warren moved a motion demanding more police resources for Yarra Ranges. I was happy to support the motion. I relayed a story that was told to me by a local trader about how difficult it was to contact the local police in Belgrave due to the lack of personnel available. It seems that the issue has since been addressed in Belgrave but policing levels are far from optimal in other parts of the shire. 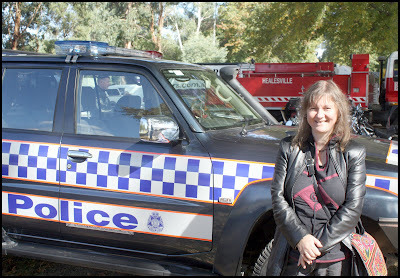 The Yarra Ranges community is entitled to a reasonable level of policing - I'm not convinced they get it. The Police are entitled to a reasonable level of resources to do their job - I'm not convinced they get it. We must pressure government to ensure that more resources are directed towards Yarra Ranges so we get the level of policing we deserve. Tonight I moved a motion that council writes to our local MPs seeking their support for the Eastern Transport Coalition (ETC) in advocating to the state government for funding for improvements to the public transport system in the outer east. I highlighted to councillors the recent work of the ETC, in particular the inquiry the ETC are seeking. The ETC has written to all MPs in the region to request their support for a parliamentary inquiry to establish whether the Victorian Transport Plan (VTP) delivers on the long term public transport needs of the eastern suburbs. Despite some positive initiatives in the VTP, the ETC believes that insufficient consideration has been given to the needs of the eastern and south-eastern regions of Melbourne. The ETC is seeking support for a parliamentary inquiry to study the detailed transport needs of the area to ensure that a full and proper understanding of the economic and social needs of the region is factored against the constantly growing transport requirements. I also reported back on meetings I've already had with local MPs to discuss the work of the ETC (see blog). Our public transport system in Yarra Ranges is far from adequate, our communities suffer a great deal of disadvantage having to deal with poorly connected and infrequent services, where they exist. It is important our MPs understand the situation. I'm pleased to report that the motion was carried unanimously. Report from the roundtable is my regular blog entry on items of interest from the Yarra Ranges council meeting (held twice monthly). Earlier this week I was invited to tour weed control works at Monbulk Creek at the Belgrave Lake section of the waterway. This project has been a long time in the making and is well supported by the local Friends Of Groups, the Shire of Yarra Ranges and Parks Victoria. Me and Mark Coffey, Project Manager with the Waterways Alliance. 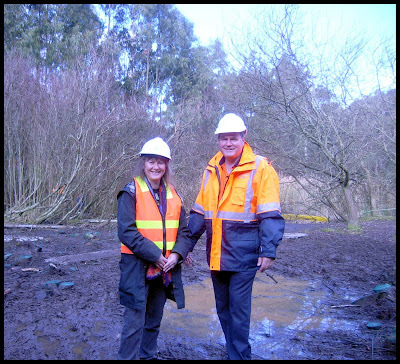 These works will assist greatly in improving the environment in and around Monbulk Creek and Belgrave Lake. The works are being undertaken by the Waterways Alliance, an alliance between Ecodynamics, Fulton Hogan, SMEC and Melbourne Water. It’s a 3 year project which will see the Willows, Tree Tobacco and Sweet Pittosporum removed. Regular ongoing inspections will ensure that any new woody weeds will be removed to give the native vegetation a chance to regenerate. Over 4,700 local native plants will also be planted to restore sections of the creek. The works compliment the wonderful efforts of the local Friends Of Groups who are tenacious in their weeding activities. We are very lucky that we share our environment with populations of nesting birds and platypus who live along the banks of Monbulk Creek. The works are being timed to ensure there are minimal impacts during breeding season and trees will be left as habitat for the birds. The removal of these woody weeds will see improved water quality and flow as well as providing a much enhanced habitat for our wildlife and better food sources for our fish and platypus. The project has provided an opportunity for Water Alliance personnel to chat to property owners along the creek about taking an active role in managing and improving their local waterway. It’s terrific to see this work being undertaken, already the area is looking better and there will be plenty more to look forward to in the future. Today saw the final bus service review workshop for Yarra Ranges. Since my last entry about the workshops in Upwey and Mooroolbark (see blog), further workshops have been held in Yarra Junction and Healesville. It has been an interesting process attending all four workshops across Yarra Ranges. The community and their needs are broad, however everyone wants to see greater frequency and span of hours for our bus services. Changes proposed to route 697 include the service going through to Fountain Gate Shopping Centre - this change was well received by the community at the Upwey workshop. The span of hours and frequency of service must be increased on route 683 (the bus from Lilydale to Warburton/East Warburton). This service is seen as a good service for the community, however so popular at peak times that overcrowding was a significant issue. The country fare continues to be one of the most critical issues to the community along the Upper Yarra corridor and it was mentioned many times as unfair and inequitable. note: people travelling on this route have to pay the 'country' fare and also purchase a met ticket for the latter part of their journey to Lilydale. 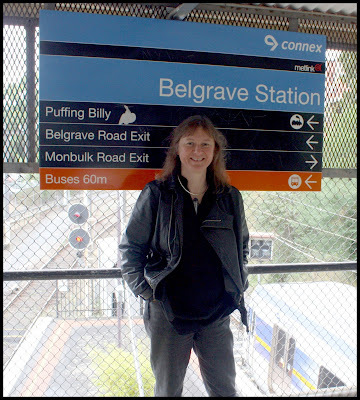 There were concerns about the safety at the transport terminus at Lilydale. There should be more low floor buses available. The alternate route 683A along Clegg Road was seen as very positive change for those in the retirment village in Mt Evelyn. There needed to be an increase in frequency and span of operation on route 685 (Healesville to Lilydale) and route 663 (Lilydale to Monbulk to Belgrave) needed to operate 7 days a week. The proposed 685 express was seen as a good idea, running from Lilydale to Healesville. There were concerns about the loss of service to Chum Creek. There was mention of the need to improve connections with rail services. The issue of the country fare was also raised at this workshop (along with Yarra Junction). The buses lined up on Belgrave Gembrook Road. 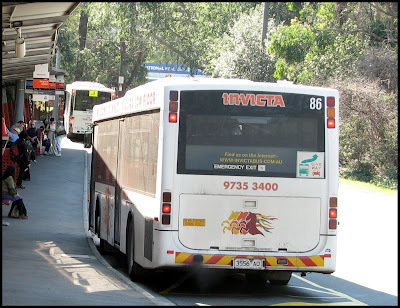 It is proposed that route 693 terminates at Upper Ferntree Gully (instead of Belgrave) as the new extension to route 695 will run from Gembrook to Belgrave and through to Knox City. The community was very pleased with this recommendation. Route 694 is proposed to be discontinued, this will see no bus service along Sherbrooke Road, this was met with a great degree of opposition from the community at the Upwey workshop. Now that the workshops in Yarra Ranges have concluded the consultants will review and consider all the feedback from the community and draft a final report for the Department of Transport. The recommendations from that report will be measured up against the transport priorities across Melbourne. I hope from this process that our community will see some improvements to local services. I am concerned that an expectation has been built that may never be delivered. We must make sure that our local MPs are reminded that this review is about improving local services which mustn't be traded off against other Melbourne priorities. 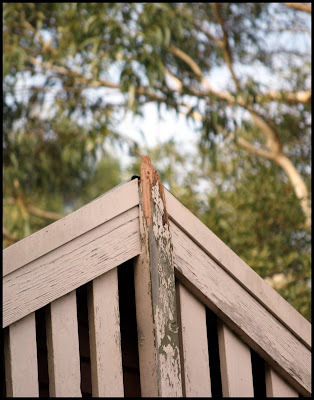 I have been overwhelmed by calls from concerned residents reporting cockatoo damage to their homes after the article in last week’s local paper. It seems that most of the cockatoo activity is currently located in Kallista and Menzies Creek at the moment. People are frustrated and agree that something needs to be done at a state level. 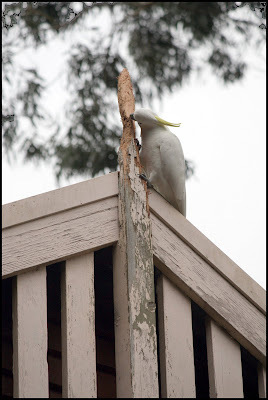 It was reported to me last week that the cockatoos have started chewing the Kallista Mechanics Hall. The Hall was opened in 1914 and came about after the formation of the Kallista Progress Association in 1910. It housed the first school in the township as well as Church of England and Methodist services for the area. It is a significant local building and part of our heritage. It is sad to see such damage to our heritage buildings along with the damage to private and public property which is continuing at a rapid rate. 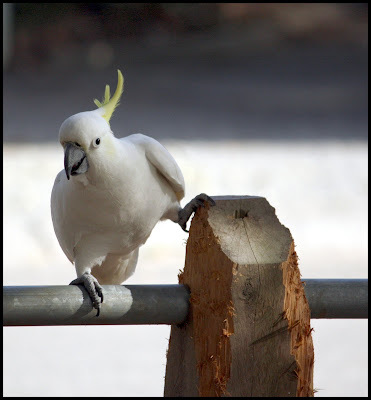 Council has agreed to urgently convene a meeting of local MP’s, Agencies, Shire Officers and Councillors to discuss the management of cockatoos so as to reduce ongoing damage to private and public property. I look forward to discussing the issue with our local MPs, the power to respond to this issue is in their hands. 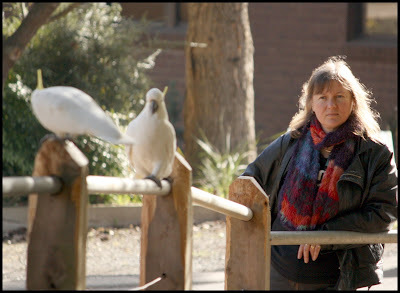 There is the potential to blame the cockatoos for their actions, but they are responding to human interference with their natural environment. We know that feeding the birds creates these problems. We need to rethink how we interact with wildlife and change our expectations around what is appropriate. 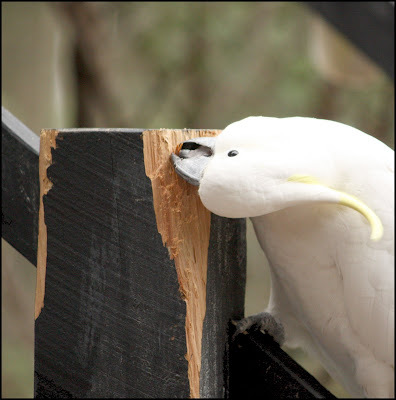 This is challenging and confronts many past practices, but when you look at the damage, year after year, how much longer can we condone feeding cockatoos? 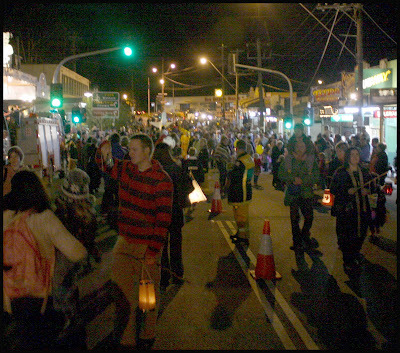 The community came out in droves to watch or walk in the lantern parade in Belgrave tonight. 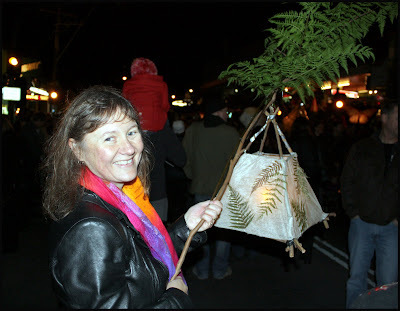 Once again there were lanterns of all shapes and sizes as people braved a chilly night in the Dandenongs to celebrate the winter solstice. 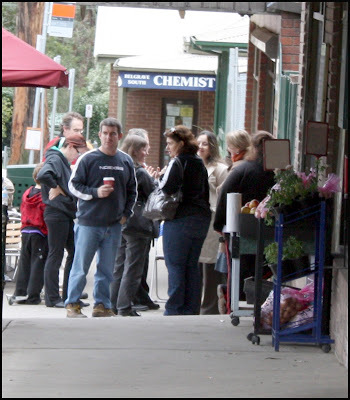 The main street was packed with onlookers and traders did a roaring trade with the influx of visitors to the town. 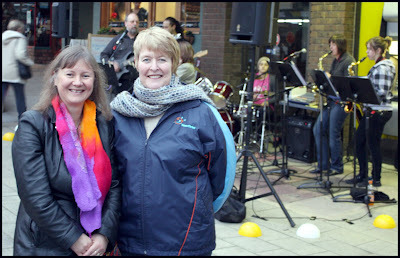 The Mater Christi band provided entertainment for onlookers, this is me with Mary Fitz-Gerald, Principal of Mater Christi. 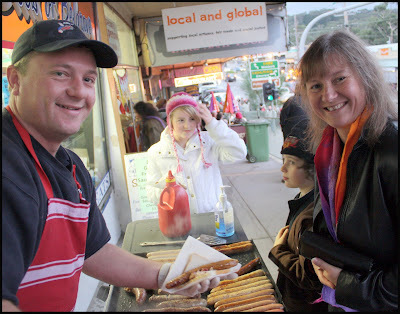 Louis and Nathan couldn't keep up with demand, they sold around 500 snags, whilst Rotary who had a sausage sizzle at the other end of town sold out of 15kgs of sausages. Local circus performers entertained people waiting for the parade. Simon Duiker, local artist, put together this amazing Cockie. 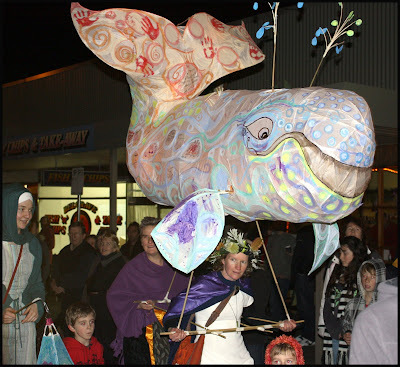 This whale lantern was spectacular, created by lantern maker extraordinaire, Renata. The stegasaurus was an amazing feat of construction. 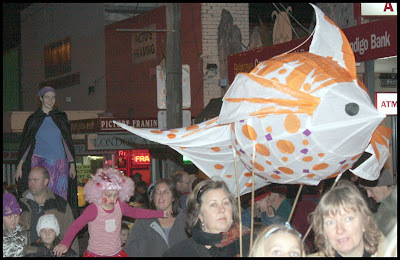 The lantern parade inspires locals in many ways, this lantern was amazing. The crowd were out in force to watch or walk in the parade. 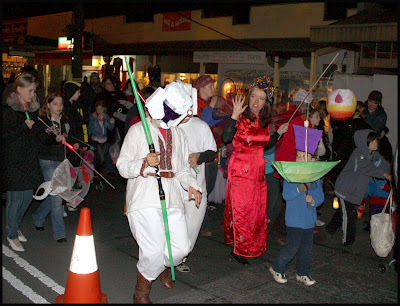 The lantern parade is a great excuse to dress up. 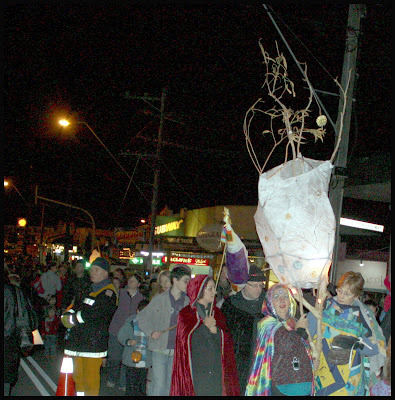 Lanterns came in many shapes and sizes, there is no limit to imagination for this parade. 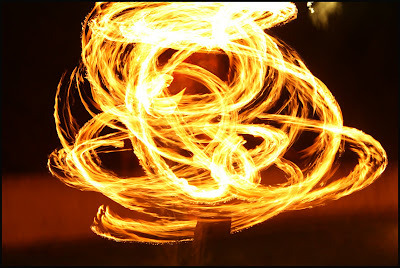 The fire twirling in the town park was spectacular. It was a great event, one our community has wholeheartedly embraced. 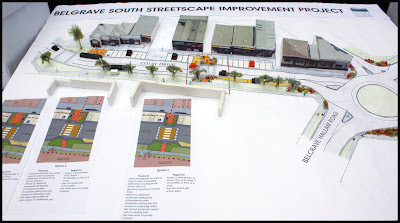 Today the Belgrave South community were invited to comment on some proposals for streetscape improvements in the shopping centre on Colby Drive. The shire has been talking about a number of options for the township with key stakeholders, including community, primary school, community house, traders and the CFA. This is me with Derek Naylor, passionate Belgrave South community member and Belgrave South primary school councillor and Ozlem from the Urban Design Unit. Derek is keen to see a mural painted on the fence behind us. A key issue in the township is walkability particularly crossing Colby Drive as it is far from optimal at the moment. The most popular project to suggest for broader consulation from the project steering group was the installation of a pedestrian crossing with the inclusion of some community space for people to enjoy. The project got some great feedback with community members very supportive of the idea of a pedestrian crossing, new public space and traffic calming along Colby Drive. If you'd like to have your say but missed out today you can see a 3D model of the project at Belgrave South Primary School and either lodge your feedback form there or the Bakery across the road. You can also contact Ozlem in our Urban Design Unit for more information on 1300 368 333 or email o.akgun@yarraranges.vic.gov.au. Earlier this week, I was pleased to be MC for the launch of Kids take off at Kindergarten, a project aimed around breaking down the barriers to family participation in kindergarten. Yarra Ranges has a very high proportion of 0 to 6 year olds (9%) and currently around 86% of our families go to 4 year old kinder. Yarra Ranges were selected by the DEECD to develop a took kit to assist local kinders with breaking those barriers to kinder. There is a great deal of evidence to support the benefits of access to good quality early childhood education. Kindergarten is a very important stage in a child's life. Not only are children learning to recognise words, write their names, they learn physical and social skills too. Kindergarten is laying down the foundation of those vital life skills that will see a child get the very best start and provides a critical and important link to a smooth transition to primary school. 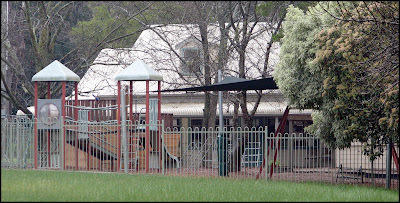 This is Selby Pre School, one of the shire's 42 kindergartens, offering children a great start in life. The Shire has 42 stand alone kindergartens as well as Montessori, Steiner and Regio kinders. Those who are missing out on kindergarten are the vulnerable in our community, those who are disadvantaged and those whose cultural background experience doesn't recognise the role of kindergarten in a child's life. Kids take off at Kindergarten provides some great resources for kinder committees to use to break down those barriers, whether they be financial, social or cultural. Our kinders offer children good quality play based learning which builds skills they can use for everyday living, for the rest of their life. Next week sees the Shire start the installation of new T5 energy efficient fluorescent tubes throughout our high energy use facilities. Included in the upgrade to the new efficient lighting is the Anderson Street Council Complex in Lilydale, the Chapel Street offices in Lilydale, Mooroolbark Community Centre, Upper Yarra Arts Centre, Kilsyth Pool, Yarra Pool and on a more local level Burrinja and the Monbulk Pool. It is anticipated that the change will result in energy savings of more than 25% once the changeover is complete. It's an extensive task which will see more than 2000 tubes upgraded. The facilities were identified through an energy audit undertaken on shire facilities last year. Today Greens Senator, Sarah Hanson-Young, took her 2 year old daughter into the Senate chamber with her for an unexpected division. I was appauled to see that Senate President, John Hogg, ordered her daughter to be removed from the chamber. In what was a very distressing scene, Senator Hanson-Young's daughter was taken from her arms and became very upset, a very understandable reaction from a babe. Today's actions in the senate were atrocious. Do we want women with young children participating in politics? I think we do and we should be doing all we can to ensure that barriers to participation are removed, not children! 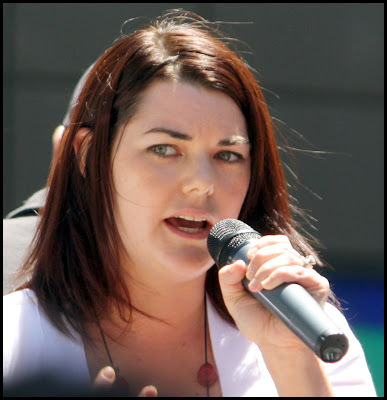 This photo of Senator Hanson-Young was taken earlier this year at rally in Melbourne. Yes there may be rules in the Senate, but really what impact would this 2 year old have on the debate or the vote? The answer is absolutely none. If we are serious about encouraging women into politics, particularly women with young children, we have to be far more flexible and far more family friendly. All parents understand that sometimes we have our children with us, it just happens that way. Only last week, there was a curriculum day across Victoria on the same day as the Yarra Ranges Council had a breakfast meeting with our local state and federal politicians. I have a 7 year old who had to come with me to that breakfast. 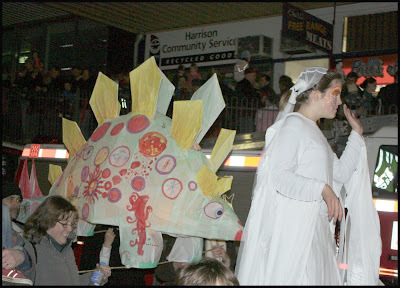 There was no issue from my councillor colleagues, state or federal politicians about my child being present. Politics is different to most careers, it's not 9 to 5 and there is no knock off time. Your families become involved whether they want to or not, you are stopped in the street, at school, people approach you in cafe's and out and about, the hours are long and irregular. It's a challenging role and sometimes circumstances dictate that your child needs to be with you. What happened today in the Senate challenges all of us to really think about how we feel about women with young children actively participating in politics. To have a truly representative democracy we need to ensure people of all walks of life are encouraged to participate and part of that means that we have to be flexible and family friendly. This was a dark day, let us hope that the Senate President's actions do not represent the views of the broader community. Let's hope that we can see some changes to ensure that it never happens again. Today I attended two follow up workshops for the Yarra Ranges Bus Services review, one in Upwey, the other in Mooroolbark. These workshops enabled the consultants running the review (Booz & Co) to present Draft Network Improvements Options to the community for their consideration. 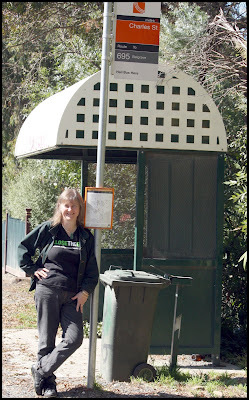 (for history on the Yarra Ranges Bus Services review visit this blog entry). The removal of the 694 service from Sherbrooke Road is unacceptable. Low patronage has been given as a reason, but I suspect if frequencies were increased there would be greater take up of this service. One resident reported to me she often has to wait up to one hour in Belgrave to connect with this service. There is a direct correlation between the patronage of a service and the frequency in which it runs. We want more services in the hills not less. The extension of the 695 route to Knox City (currently running Gembrook to Belgrave). 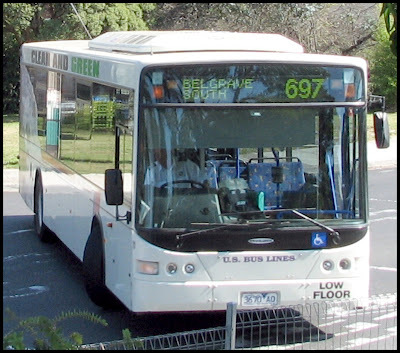 The extension of the 663 route so it would provide a direct service from Belgrave to Lilydale taking in Monbulk and the Swinburne campus in Lilydale. A new service which runs from Boronia to Sassafras through to Olinda and onto Monbulk then Emerald, providing the much needed missing link between Monbulk and Olinda. Changes to the 697 route that will see the service run through to Fountain Gate Shopping Centre rather than terminating in Belgrave South. The change that met with disapproval and was of greatest disappoinment was the deletion of route 694 which currently runs from Belgrave to Olinda using Sherbrooke Road as its route from Monbulk Road to the Tourist Road. Later conversations I had with the consultants revealed they will re-look at this issue but I will be bringing it up with our local member as the loss of services in this area is of great concern. 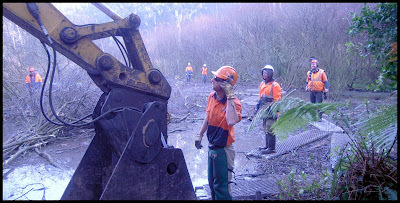 More frequency and greater span of hours were seen as key issues in services across the Dandenongs. Changes presented at the Mooroolbark workshop were generally received as positive moves, particularly the change to route 683A which will run via Clegg Road past the retirement village located there and also the proposal to increase peak services between Yarra Glen and the Lilydale Station. Many other options also presented in this workshop were seen as positive moves. The span of hours of operation and frequency of services continue to be an issue raised across the board at both workshops. There are still two workshops to go, one in Yarra Junction tomorrow (1pm at the Upper Yarra Family Centre), the other in Healesville on Monday 22nd June at 1pm (Memo Hall). If you're concerned about the bus services in Yarra Ranges and want to have your say I encourage you to go along to one of the remaining workshops. From this round of workshops, Booz & Co will then refine the network improvements and provide a final report for consideration by the Department of Transport. However the consultant did make it clear that service improvements for Yarra Ranges would be implemented based on metropolitan priorities, lets hope that the Yarra Ranges does not get lost in a sea of competing priorities across Melbourne. 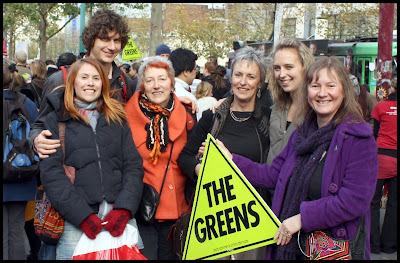 I learnt last week that I had successfully been preselected to run for the Greens as the lead upper house candidate for the Eastern Victoria region. I am humbled and honoured to be preselected as we head towards the state election in 2010. I am encouraged by the faith the members across Eastern Victoria have shown in my capacity to run a strong campaign and to ultimately represent them in the Victorian Parliament. I would never have thought that my quest to save the council run childcare centre back in 2005 would lead me on a journey to nominate to run in the upcoming state elections. I have found holding public office to be a very rewarding experience. It’s a great privilege and I am very committed to my work on behalf of the community. 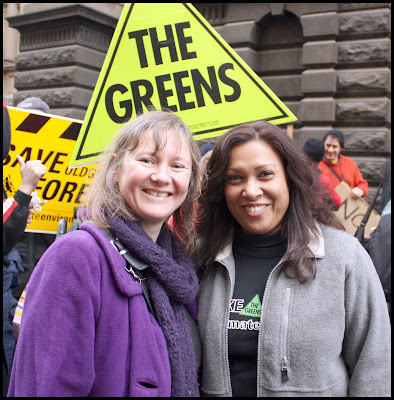 I will lead a strong and enthusiastic campaign, I’m proud to be representing the Greens as the lead candidate for Eastern Victoria. 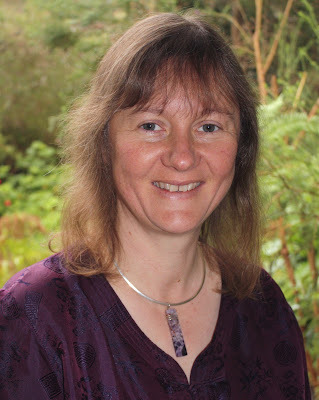 In the weeks to come I will be developing an alternate web presence for campaigning with my blog continuing to highlight my activities as Lyster Ward councillor for the Shire of Yarra Ranges. 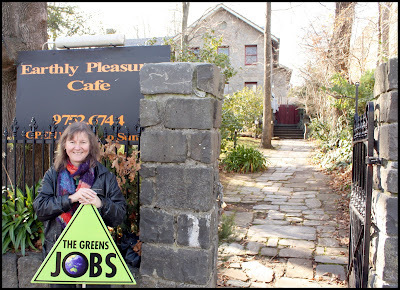 If you’d like to help the campaign kick off come along to an election fundraiser at Earthly Pleasures in Belgrave on the 5th August to hear me and the Greens lead senate candidate, Dr Richard Di Natale speak, there will be fine food and entertainment too. Watch this space for more info soon. Today I marched with around 4,000 other Victorians from the State Library to Treasury Gardens to highlight to the federal government how flawed Kevin Rudd’s CPRS scheme is. 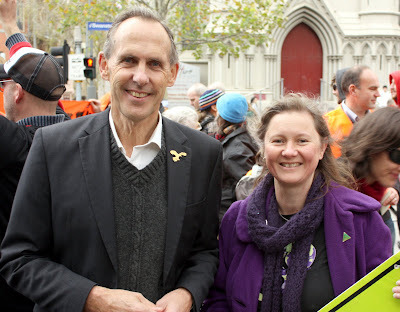 There were many familiar and local faces amongst rally goers and it was good to see that people from all walks of life are concerned about state and federal government inaction on climate change. It is always good to see Bob Brown visiting Melbourne. 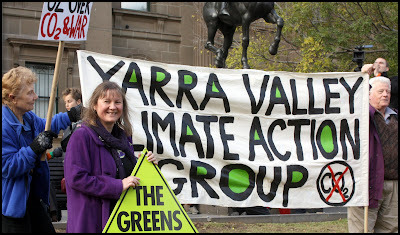 The Yarra Valley Climate Action Group were there, travelling from the Yarra Valley to show their concern about the CPRS and man made global warming created from greenhouse gas emissions. Cr Sam Gaylard from the City of Yarra was there. 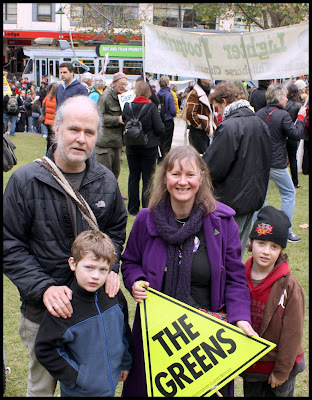 This is me pictured with the Ashburner/Reid family from the Dandenong Ranges. 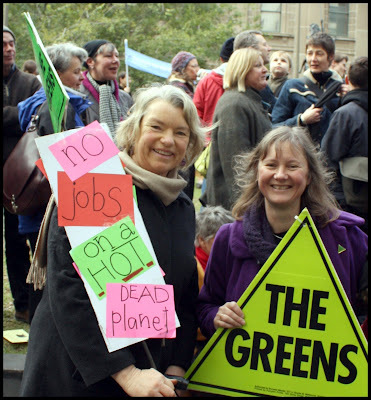 Seasoned climate campaigner Janet Rice was there. Cam Walker from Friends of the Earth was there with his son. 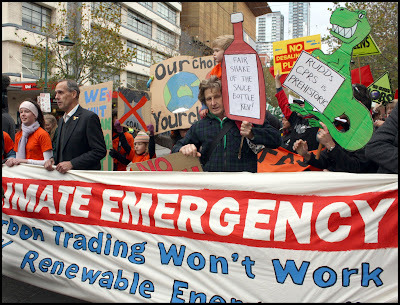 Bob Brown led the march to the Melbourne Town Hall where the ALP were holding their state conference. 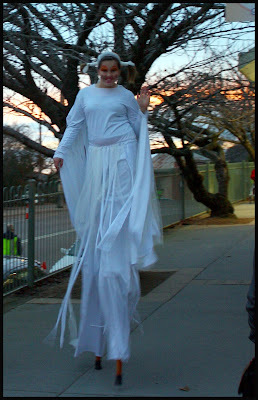 Cr Lynette Kelleher from the City of Casey was marching. 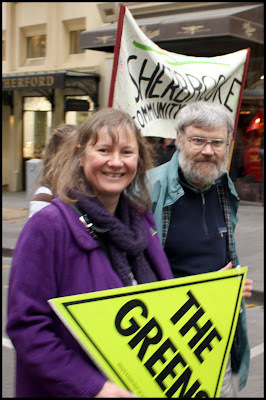 Ian Rainbow, dedicated environmental volunteer with Friends of Glenfern Valley, Upwey marching to Treasury Gardens. 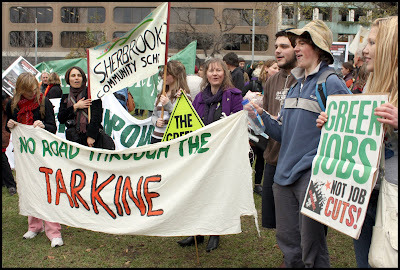 The Sherbrooke Community School are very passionate about environmental issues, it was terrific to see them at today’s rally. 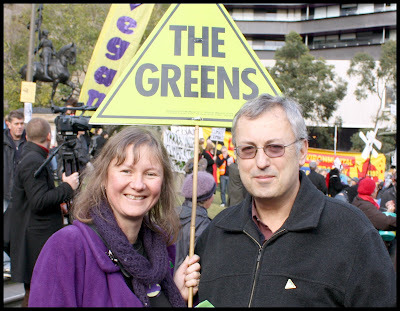 The Greens were proud supporters of today’s rally, here I am pictured with Geelong Green, Tory and Steve Meacher of the Healesville Greens. 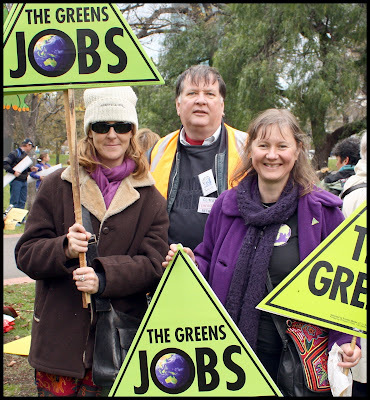 Steve is also chairperson of Healesville Environment Watch and was the driving force behind the establishment of local climate group in Healesville, C4. The South West Greens were there highlighting forest issues, deforestation accounts for 18% of global greenhouse gas emissions. 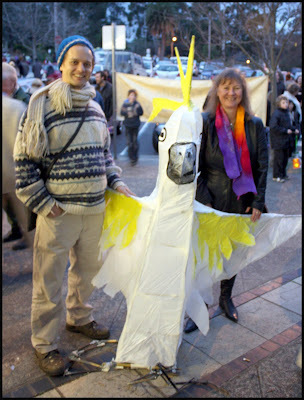 David Spratt, co-author of Climate Code Red, standing outside the ALP State Conference. David has also been working on a significant climate project, Safe Climate Australia, a not-for-profit group dedicated to planning the transition to a zero-carbon economy. Safe Climate Australia has been formed by a group of concerned climate scientists, community and business leaders with a shared understanding of the need for emergency action to restore a safe climate. Safe Climate Australia will be officially launched at an event for 1000 invited guests in Melbourne on July 13, with a keynote speech from Nobel Prize winner, Al Gore. Safe Climate Australia is aiming to deepen community understanding about both the scientific imperatives that demand action at great speed, and about how we can plan the rapid transition to a zero-carbon economy. If you’d like to know more visit Safe Climate Australia.